Target Liberty: Would Murray Rothbard Still Be Involved in Politics Under Current Conditions? 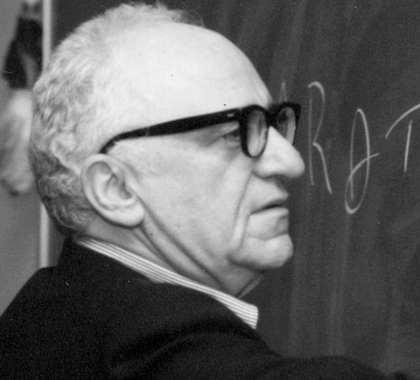 Would Murray Rothbard Still Be Involved in Politics Under Current Conditions? I was wondering what your thoughts are on whether Rothbard would still think political means should be used to promote liberty, as in running for office, voting and all that. I know he was very interested in politics, but it seems things have digressed politically a lot since the Bill Clinton days. Is there a point when Libertarian’s say to hell with the States system? Murray was a political junkie. It was great sport for him to follow the political game. I don't think that would change. But he did jump around a lot on where he placed his support. a Maoist wing of an NYC Leninist-Trotskyite party. He at one time supported some Black Panther members. He supported and then abandoned Joe McCarthy. He cheered on the populist advance reflected in a David Duke run for governor Louisiana (which the left and lefty libwaps have distorted). And he cheered on Pat Buchanan but viciously attacked Ronald Reagan. And at the same time always remained a principled and consistent libertarian! There are few public intellectuals that have such a track record of widespread support of different individuals and groups across the political spectrum. He was unique in this regard as with many other parts of the intellectual canvas he painted. The broad spectrum of Rothbard's support I believe can be explained in that he viewed politics as a tool to advance liberty rather than falling completely in line with any group. He aligned himself with groups but I don't think he held the view that any of the groups were pure, good people. Politics can still be viewed as a tool now, the way it was when Murray was around. Though I do want to point out that, as far as I know, Murray never supported a seated president when a president was in power. (He supported the re-election of George H.W. Bush). Under current conditions, I believe he would attack President Trump in the same way he attacked Reagan. Murray was also a great student of Leninist political strategy and tactics. One guiding principle of Leninism is "the worse the better." This means that if something is more objectionable more would join up in opposition to the more objectionable. Thus, it is very possible that on strategic grounds Murray would have supported Hillary Clinton as a perfect foil. Rather than Trump, who like Reagan, can be viewed as co-opting the anti-state movement. That said, I don't think Murray was ever big on actually voting. He hated the state. He might support wholeheartedly some libertarians running, like Ron Paul, but such full support was rare---and the support did not turn into Murray actually going out to vote. It was mostly and education effort. And it was mostly about temporary alliances for him. Those kinds of alliance opportunities on individual issues continue to exist today, rather than alliances with any political groups. But the big changes, Murray wrote in his unpublished strategy paper would have to be made via battles at the intellectual level. The main lesson which the true liberal must learn from the socialists is that it was their courage to be Utopian which gained them the support of the intellectuals and thereby an influence on public opinion...Unless we can make the philosophic foundations of a free society once more a living intellectual issue and its implementation a task which challenges the ingenuity and imagination of our liveliest minds, the prospects of freedom are dark. 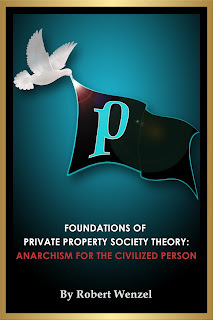 Naturally, I am convinced that it is precisely we libertarians who have the inspiring, adventurous, consistent radical fulfillment of classical liberalism to offer to intellectuals and to mankind, We are the answer to Hayek's call. Let us not forget Murray's endorsement of Mark Hatfield as a 1972 anti-war coalition candidate. He claimed Hatfield was a classical liberal disciple of Bob Taft. Probably his best choice over the years. Glad you put all that into context, Bob. Murray was a complex guy. I get a chuckle when these some of these libertarians today(like some that comment on here) who think that the only writings of Murray that are worth reading are his "Paleo" years and everything else prior to 1992 they are ignorant of. And as you point out, Murray made alliances. He tried to tailor his message in public forums to outreach to who ever he was an alliance with at the time. But just as his fliration with the New Left ended in the 1960s, the odds are his alliances with the Chronicles magazine/Pat Buchanan would have ended as well and he would have found another alliance. Murray died before that could happen, so we will never know. 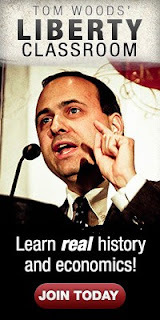 But the odds are based on how he swung both right-left in his alliances, he would have eventually said sayonara to the protectionist and cultural statists of the paleoconservative movement. Agreed that he would have gotten tired of the protectionist and cultural statists of the paleocon movement. The question is where would he have gone, if anywhere? Pretty intriguing to consider. He would have been commenting here with us! It seems that Lew Rockwell followed in that tradition to some extent. For instance, under Bush he seemed to abandon paleolibertarianism and turned to writing about "red-state fascism" and defending immigrants. Under Obama he seemed to swing right again, though he still seems to be on the right under the current administration. I can appreciate the strategy to some extent, i.e. you identify which side the Establishment is on and attack that. But it can morph into ideological confusion, leading to the confused and inconsistent interpretations of Rothbard's legacy, for instance. From the little I have had the chance to speak and correspond with Lew, he doesn’t support even participating with voting. I am of the same mind, political voting is the State religion’s communion, don’t drink from that cup, reject it.